It’s Friday again…. Where does the time go…. School has started…. My Texas A&M Aggies, ranked #21, destroyed #9 South Carolina 52-48 on the football field in South Carolina…. Christmas is just around the corner…. So onward to today’s Friday Flower Fiesta…. 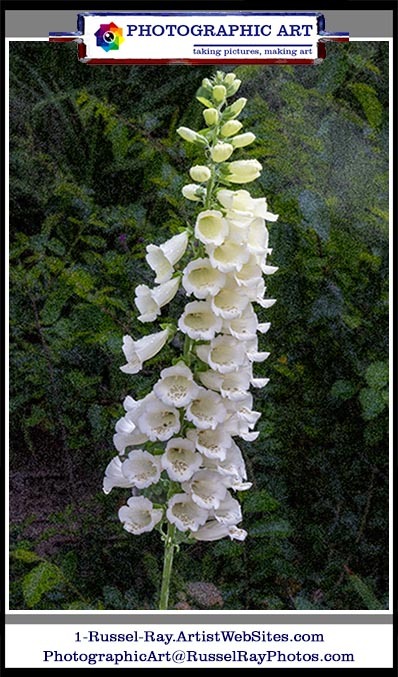 The first three flowers are hibiscus, and #5 is a foxglove, but if anyone knows what #4 is, please let me know! 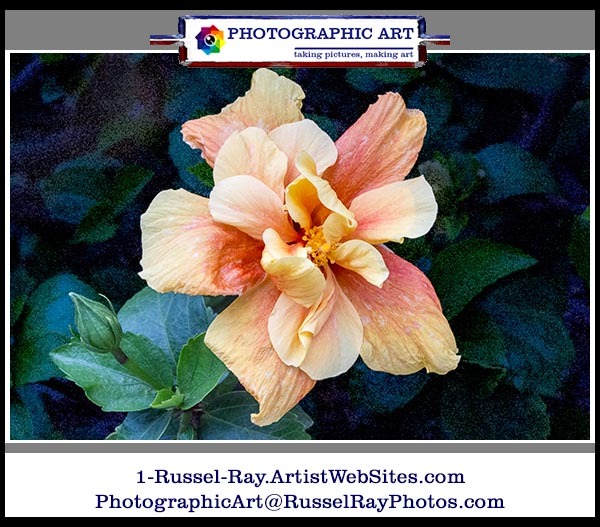 This entry was posted in Digital photo editing, Flora, Friday Flower Fiesta, Mother & Father Nature, Nature, Photographic Art, Photographic Art @ Fine Art America, Photos and tagged foxglove pictures, friday flower fiesta by russel ray photos, hibiscus pictures, photographic art by russel ray photos at fine art america on August 29, 2014 by Russel Ray Photos. 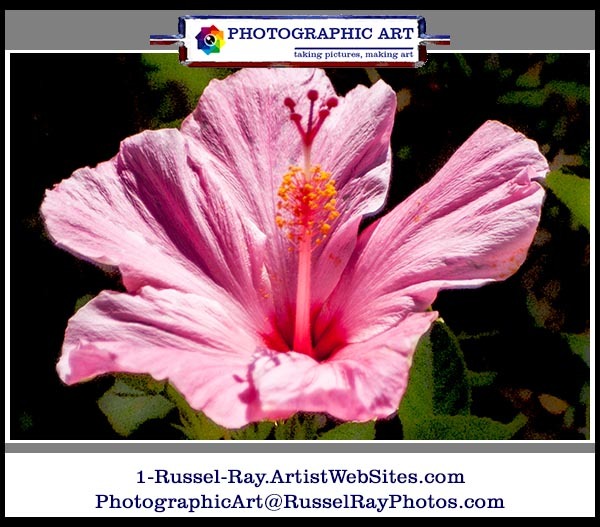 Lovely Hibiscus and foxglove Russel, can’t help with #4 though. 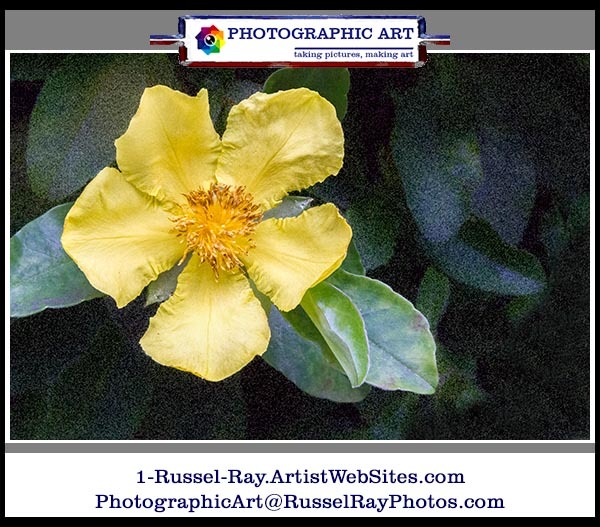 I love the flowers, It is hard to tell the size of the #4 flower, or if it’s on water/near water/marsh. Possibly a wild water nymph, or wild wood buttercup…..And for a totally wild guess a wilting Cherokee rose(but yellow) Sorry I’m not very good with flowers. Let’s hope it’s a new species and you can name it. Hope you find out. Unfortunately, I’m pretty sure I’m not going to get to name it. It’s just one of hundreds of blooming bushes in Balboa Park. I have written to the Balboa Park board to tell them that some identifying plates would be useful for many of the plants. Ah, name it anyway (they wont know) I suggest Toby or maybe -Get ready for the brownie points- Julian’s Friday Smile. Keep snapping away Russ. I’m not a photographer, but really do appreciate your photos and found your posts on technique using Photoshop very interesting and knowledgeable. Take good care and give the cat a pat for me.